Endeavor Lines is currently unavailable to book through AFerry but there are many alternative ferries to Greece and the Cyclades Islands that you can book with AFerry. Endeavor Lines' current fleet consists of three air-conditioned modern, well equipped ferries, the Erotokritos T, the Elli T and the Ionian Queen. 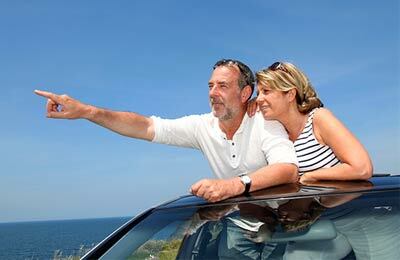 On an Endeavor Lines ferry you will find a very wide range of on board facilities. You will find a choice of restaurants and bars, spacious lounge areas, television, a casino, shops, and music and telephone facilities. On board some vessels you will also find light entertainment shows and a even a swimming pool open in the summer months to help you really start you holiday with a splash! Whether you use the Endeavor Lines Brindisi Corfu ferry route, the Endeavor Lines Brindisi Igoumenitsa route, the Endeavor Lines Brindisi Patras ferry, or any other route from Endeavor Lines, you are bound to have a pleasant and relaxing journey. 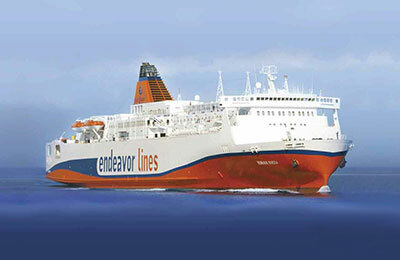 Book your Endeavour Lines Ferry with AFerry. How long before departure should I arrive for Endeavor Lines? Check-in is AT LEAST 2 hours prior to departure for all passengers, except groups and those in Campervans/Motorhomes, where check-in should be AT LEAST 3 hours prior to departure.